A view of the old warehouses in Port Charlotte (now owned and used by Bruichladdich distillery) on a beautiful June evening. 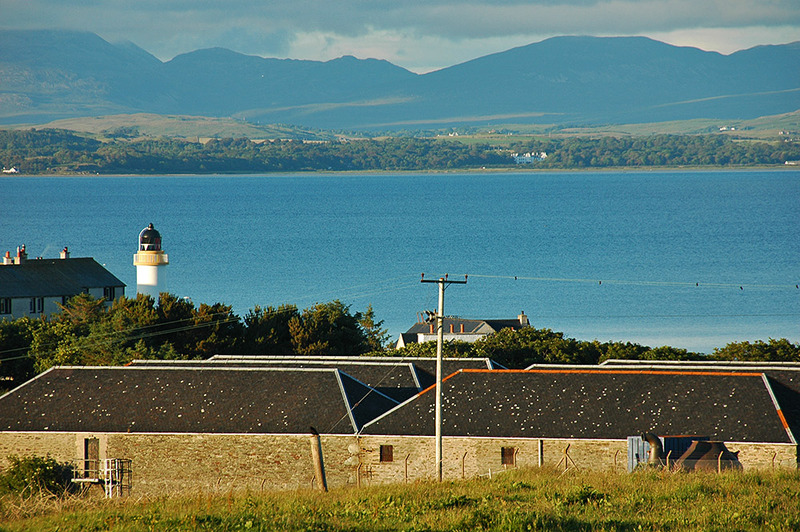 On the left the Loch Indaal lighthouse behind the trees. In the distance, on the other side of the loch, you can also make out Islay House between the trees of Bridgend woods. This entry was posted in Cloudy Weather, Distilleries, Landscape, Lighthouses, New Post, Sea Loch, Sunny Weather, Village and tagged Bridgend, Bruichladdich, Islay, Islay House, Loch Indaal, Port Charlotte, Rhinns of Islay by Armin Grewe. Bookmark the permalink.